This artist has been making some amazing creations with teddy bears turned inside-out, and now he has a photo-book. Want! 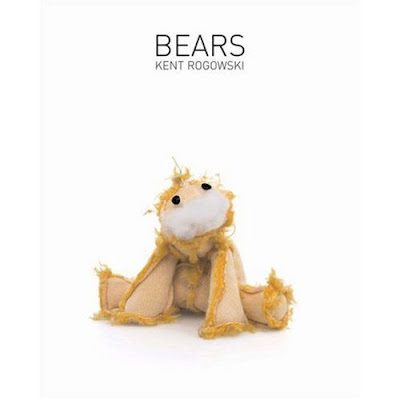 BEARS, the first book by Kent Rogowski, is a series of portraits of the most unusual sort: ordinary teddy bears that have been turned inside out and restuffed. Each animal’s appearance is determined by the necessities of the manufacturing process. Simple patterns and devices never meant to be seen are now prominent physical characteristics, giving each one a distinctly quirky personality: their fasteners become eyes, their seams become scars, and their stuffing creeps out in the most unexpected places. Together these images form a topology of strange yet oddly familiar creatures. They are at once hideous yet cuddly, disturbing yet endearing, absurd yet adorable, while offering a metaphor for us all to consider. These bears, which have lived and loved and lost as much as their owners, have suffered and endured through it all. It is by virtue of revealing their inner core that we might better understand our own. Much cooler than you might initially think, as it makes you think. It really appeals to my desire to understand pattern making, costruction, design.